Paris is almost usually the immediate dead ringer for anything European: fiery romance, strange cuisine, perplexing highbrow art… For many visitors, Paris is the city of dreams. It is also the city of burning money. Notorious for being one of the most expensive European cities to visit, travellers often find themselves having to give up the Parisian dream. But halt your sorrow march ye lonesome friend, for there are ways to go about Paris without spending a fortune. Yes, there are ways to do Paris on the cheap! The best season is around November-April. Now, everybody almost immediately would say summer or spring, but then again a thousand other tourists have the same thing in mind so it wouldn’t matter is spring or summer were more romantic. In the off-season lines are shorter, budget accommodations are easier to find, and airfares tend to be heavily discounted. Besides, romance is in the spirit and not in the seasons! Fine dining has the stigma of having to spend too much, but the ‘fine’ doesn’t have to be synonymous with a heady fee. The best of French cuisine has its origins in peasant cuisine: warm, heartwarming and delicious. It is from constantly adapting from this to the fancy meals on wide plates. You don’t have to go to a restaurant to enjoy Parisian food; chances are, you are going to pay so much more when you are at a table. Do your research. There are plenty of places for good, budget eats in Paris. Another strategy is to eat more during lunch when meals are cheaper than in the evenings. Sorry to disappoint you, but the best view of Paris is not from the top of the Eiffel Tower. If you want to go there, then by all means do! However, the long lines and waiting will probably cost you, and that is not the point of this article. The view at the Basilica at Sacré-Coeur atop Montmartre offers the same breathtaking view for a fraction of the price. 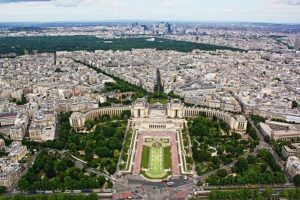 Alternatively, for the fainthearted and those who would rather take it easy, Paris has a multitude of parks to stroll. Le Bois de Boulogne is Paris’ largest park, and is perfect for picnics or calmly spending an afternoon watching people and relaxing. And by parking, we mean where you will sleep, replenish and re-energize. Five-star hotels are out of the question unless you have a fortune to spend on a decent room and breakfast. 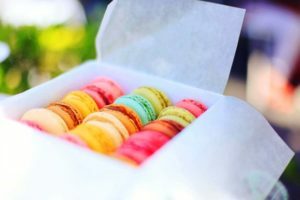 Instead, opt for a three- or four-star hotel and get your breakfast fresh at a nearby bakery. Traveling in groups? Rent a timeshare apartment! This can cost as low as £500 per week, which is definitely a fantastic deal when split between four or more. In conclusion, there are a myriad of ways to do Paris on the cheap. Don’t let yourself be fooled!